Despite the love for cats, many families avoid keeping one mainly owing to things – excessive shedding and allergies. It is actually the proteins present in cat’s saliva that causes allergies in humans. So if your cat is shedding less, the risk for allergies also gets reduced significantly. Less shedding would also mean that you do not have to go around cleaning the fur-coated furniture and carpets all the time. However, if you are adopting a breed that sheds less, you should make sure that they stay warm enough during the cold winter months. This can be done by making them familiar with cat sweaters. So if you are strictly looking for the cat breeds that shed less, here are 20 great options for you. Despite its name, the Sphynx is not an Egyptian breed. It is the result of persistent efforts at breeding a cat with less hair and less shedding. Sphynx are not entirely hairless but they also not have a thick coat like most other cats. Instead, they have a very fine and smooth layer of down. This, together with a sleek body and pointed ears give the Sphynx and a unique look. These cats are also very friendly as well as intelligent. Since they do not have a coat, they are also not very good at retaining heat. So if you are planning on getting one of these, make sure you keep them cozy at all times, especially if you are staying in a cold weather zone. The Donskoy is a Russi​Russian​​​an breed and this too has a thin layer of down for a coat. This makes them look almost hairless. This breed is quite unique as they sweat in order to regulate their body heat. This is unusual among cats but effectively reduces the shedding. Although they are warm to touch, they need to be given extra care during the cold weather. These cats are also very good at getting along with other pets. 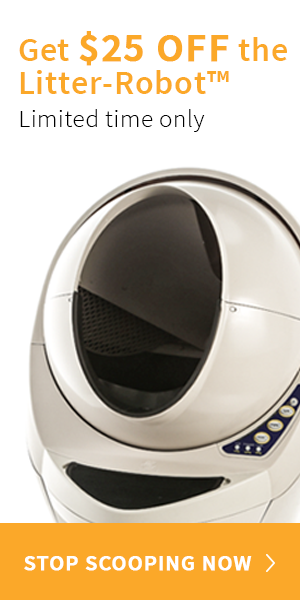 So if you already have a pet at home, the Donskoy may be exactly what you are looking for. The Cornish Rex does have a coat, but is only the don layer that grows. The fur is also very sparse and short. Due to a genetic mutation, they have a unique pattern of fur which gives them a very beautiful look. However, these cats do need assistance to stay warm during the cold weather and may develop breathing issues if not taken care of. These miniature cats are also very friendly and love to hang out with their owners. Peterbalds are related to the Russian Donskoys and just like their forebears, these cats are very affectionate and sociable too. These cats tend to be very intelligent and are often seen following their owners around the house. Although the amount of hair tends to vary significantly, they lose most of it while growing up. They also vary considerably in color and pattern. However, all the cats do have a slender built with large upturned ears. With small heads and bright eyes, these cats look very innocent and adorable. Out of the three layers of cat fur – the down, awn, and guard – the Javanese breeds have only the guard which is also the longest layer. The other two layers are missing. This keeps the Javanese cats from looking completely bald, but their coats also look quite different from other breeds with longer fur. These cats shed very less and re very fond of eating at all times. They also like the company of human beings. Bengal Cats are the result of crossbreeding between the domestic and wild cats. They are quite large, but do not shed much due to having a thin coat. This Asian breed needs very little grooming and is always looking for a lot of attention. They are quite interactive and love to be in the company of their owners. Bengal Cats are one of the best in the category of low shedding. They also have a very dramatic and intricate pattern that almost makes them look like miniature tigers. Despite not being related, the Devon Rex and the Cornish Rex share a number of physical similarities. It has a thin and curly coat of fur and therefore sheds very less in comparison to other house cats. They look very cute due to their big, pointy ears which have also led them to be known as the alien cat. However, despite the nickname, these cats are very friendly, trainable and tend to get very close with the adopting family. These cats have a thick coat but do not shed much. Due to the wavy fur, they almost look like they have just come out of a dryer. Nonetheless, they look very elegant and cute. The color and pattern of the fur can vary from one cat to the other. Due to their fur pattern, they also look very clean and well groomed almost all the time. These are trainable cats and have a high intelligence. You can train them on jumping lofts and fetching small items. Since the Laperms do not need much grooming, you will be saving a lot of time. These cats look unique and bossy. They have a very unique, bluish-gray coat and green eyes. Due to their nature, these cats may not open up to strangers and new people in the house. However, once they get accustomed, they are very friendly. They are very attentive and intelligent and love being around their owners. You can also teach them a task or two. Russian Blues shed very less, maybe just twice a year and also carry very few allergens. This is a large breed with a thick coat. Siberian cats do shed their fur frequently. However, the fur gets trapped in the awn or the guard, which prevents a big mess all around the house. You do not have to clean as frequently. Also, the fur comes off very easily during cleaning. Siberian cats have a very big size and also tend to be very powerful. They are running around the house almost all the time. These cats look very bossy and the pattern and color of the fur may vary considerably between two cats. This is a breed from Th​Thailand​​​ailand and has silvery blue fur with green eyes. They somewhat look like the Russian Blue but are smaller in size. They have only a single layer of coat with short fur and do not shed much. These cats do not like interacting with new and unfamiliar members and like to keep themselves to their own circle. These cats are very strong and due to their personality, they are also not very easy to train. However, if they like and respect you, they may put in a little effort for you. Colourpoint Shorthairs are very small and lovely cats. They can have a wide range of color and fur patterns and have a very short coat. These cats do not shed much. These are very adorable and friendly cats. They love the affection from their owners and stick around to their owners most of the times. However, they may get shy when there is a newcomer in the house and will make you go looking for them. As the name suggests, this is a Japanese cat and popular for its short and bob-like tail, which also looks somewhat like the tail of a rabbit. Since they have very short hair, shedding is very less throughout the year. So you do not have to put in that extra amount of time into their cleaning and grooming. Japanese Bobtails are known to be very intelligent and therefore great at learning new tricks, just like a dog. With big and triangular ears, they look very cute and cozy. Although this slender breed is actually from Thailand, it can now be found in almost every part of the world. Just like the Siberian cats, the Siamese cats, too, have the guards that trap in all the shed fur. This prevents mess around throughout the house. You can get out all the shed fur by brushing them at once. Hence, you will also be saved from having to go around cleaning other times. These cats get along well, both with the family members, as well as with other cats. The Oriental cat is one of the variants of the Siamese cat. They are set apart from the Siamese in terms of their color and coat pattern. These cats are quite popular and there can be ore attributes that classify their variants as Oriental rather than the Siamese. They have a very short coat and the shedding is almost absent. The owners may step in and brush their hair from time to time so that loose hair comes off. This will promote a healthy development of the new fur and reduce the effort for a cleanup, in case there is any. Oriental cats are very friendly to human beings. They also get along well with other cats. Therefore, you may also bring in more than one cat at a time. The Birman cats originated in Burma. However, they are more popular in the western countries due to successful breeding, especially in Germany. The Birman cats have a thick and long coat, but the undercoat is entirely missing. However, they shed very less and even without frequent grooming, the fur does not matt. The Birmans indeed have a very elegant appearance. Most of the times, these cats have a colored face and white fur over the rest of the body, which sets them quite apart from other domestic cats. Due to their sharp eyes and small noses, these cats also have a very intelligent look. These are trainable cats and love the company of their owners. The Exotic Shorthair almost looks like a Persian cat except for its short fur. They also have sharper and deeper fur coloration. However, the pattern may vary from one cat to the other. Since the cat has a very dense coat of fur, any loose fur gets stuck right in the coat. Regular combing brings them all out at once. So you do not have to go around cleaning the clothes and furniture later on. They are very relaxed cats with no anxiety and nervousness. However, they tend to get close with their owners and get upset when they are not around. The Bombay at is a shootout of the Burmese cat and have very short and sleek coat. There is very little shedding and not even noticeable when it happens. These cats have a unique appearance and look almost like miniature panthers. However, they are not at all aggressive. The Bombay cats are very sociable and do not find a problem in mingling with the owners as well as other pets. These cats are also very playful and keep the owners entertained. The Tonkinese is a result of breeding the Burmese and the Siamese breeds. They have short fur and do not shed a lot. The Tonkinese is also very easy to care for and require little grooming. They have strong muscles and are also very powerful. They are much heavier than their Siamese forebears and not as slender. Due to their high energy, they are always running and jumping around and make good companions for little games. They are also very social and get bored when there is no company around. The Burmese cats have originated from Thailand. They are very hefty cats and have strong muscles. The color can vary a lot. They have a short and thick coat but do not shed much. Burmese cats are also very social but do not like being left alone. These are the best cat breeds with low shedding and low maintenance. However, once you have a cat. Do make it a point to learn the cycle of shedding for your particular breed. This can help you deal with it accordingly. All of the breeds mentioned above are highly intelligent and social and will, therefore, make for great companions.